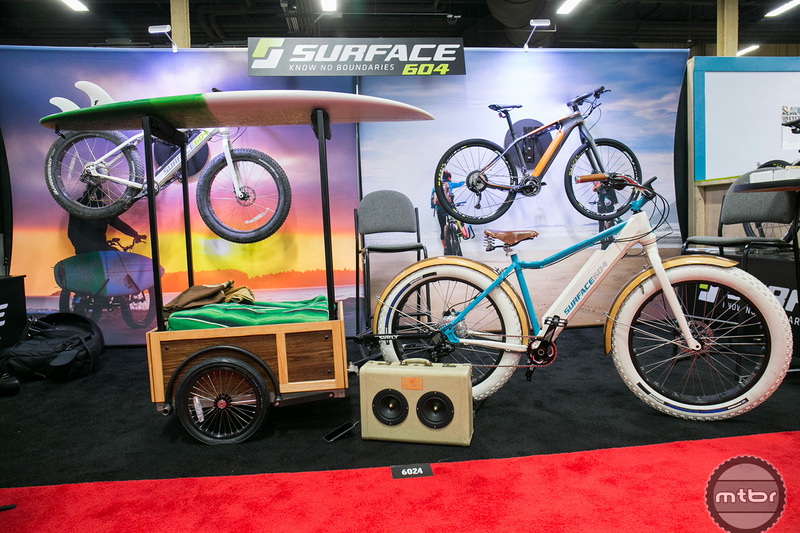 We catch up with Sam Atakhanov, the head of product development, and Dave Heighway, the VP of Marketing, for Surface 604 to discuss their brand ethos and newest bikes. 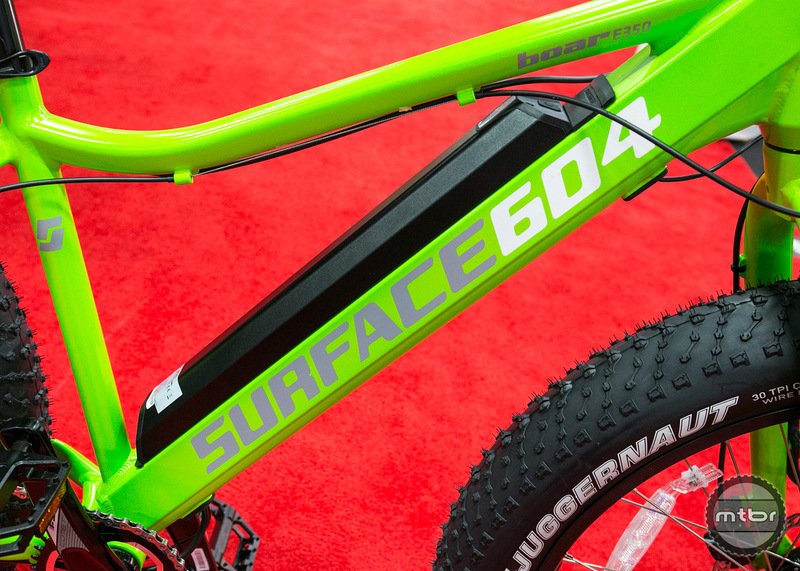 The entire ethos behind Surface 604 is getting people either riding bikes or riding more. That’s why they’ve designed bikes with electric assist systems, that are fender rack compatible. The models are utilitarian and affordable. 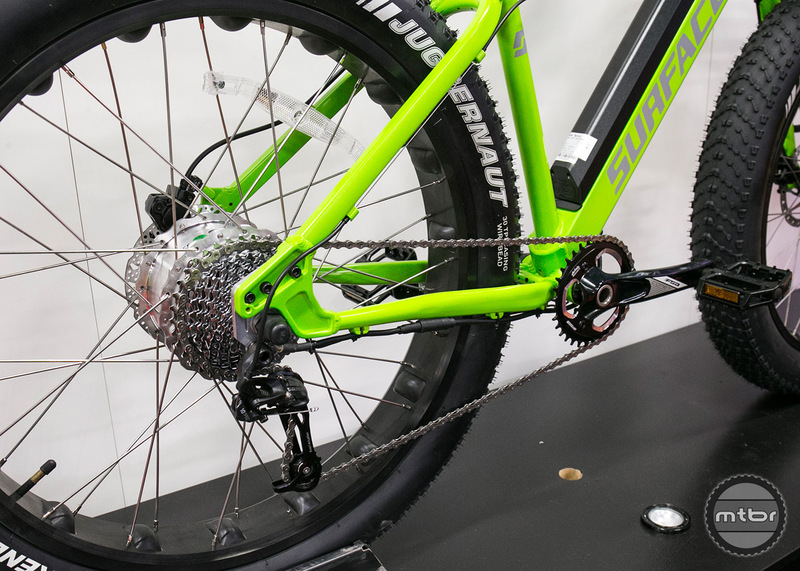 Their build kits include hydraulic disc brakes, 1x transmissions, and their most popular model retails for under $3,000. 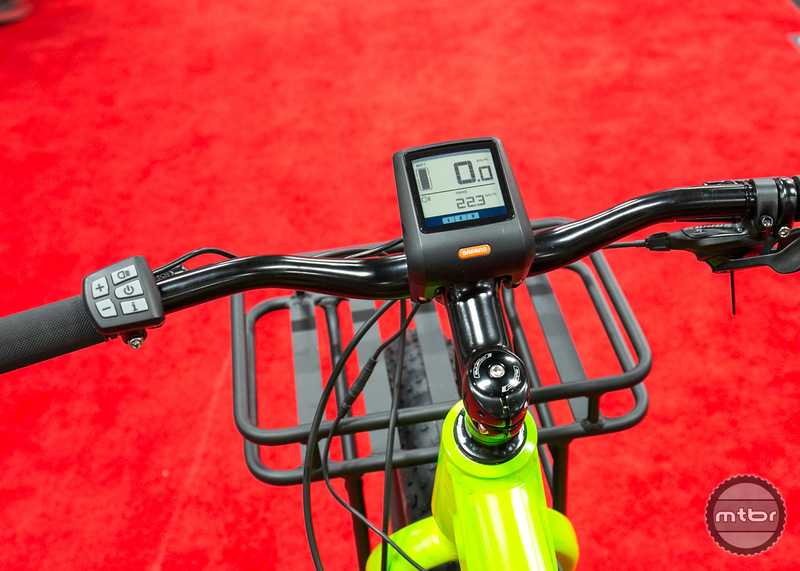 Surface 604 is also trying to tackle peoples preconceived notions about what electric bikes can be. 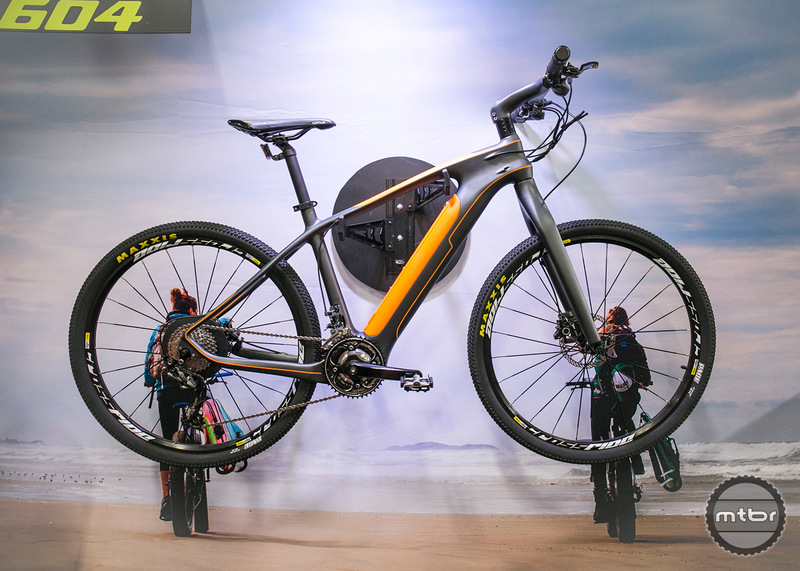 Many riders have complained about the weight of these bikes, so they developed a carbon commuter with an integrated battery pack that weighs 33 lb and will retail for $3,799. The Boar’s aluminum frame has been completely custom designed in Canada by Surface 604. 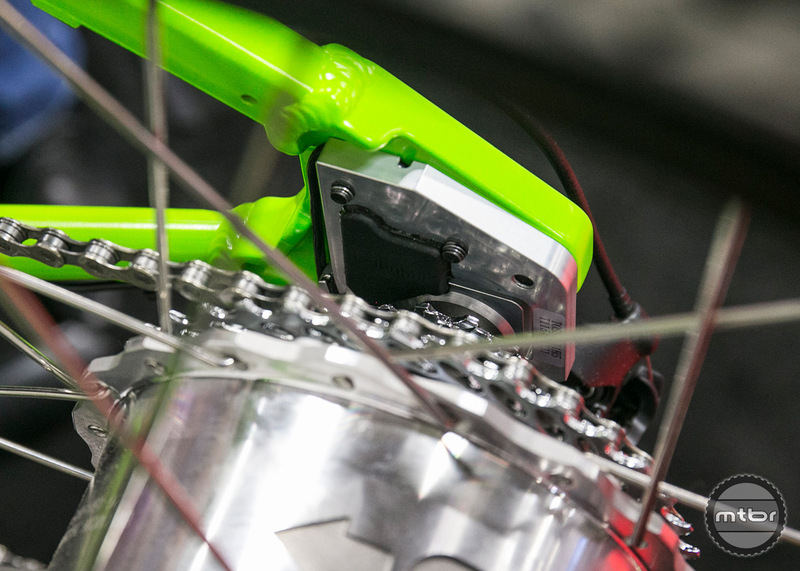 Most importantly, we’ve placed the battery (discreetly) in the down tube, keeping the centre of gravity low – lower than any other fat e-bike on the market. 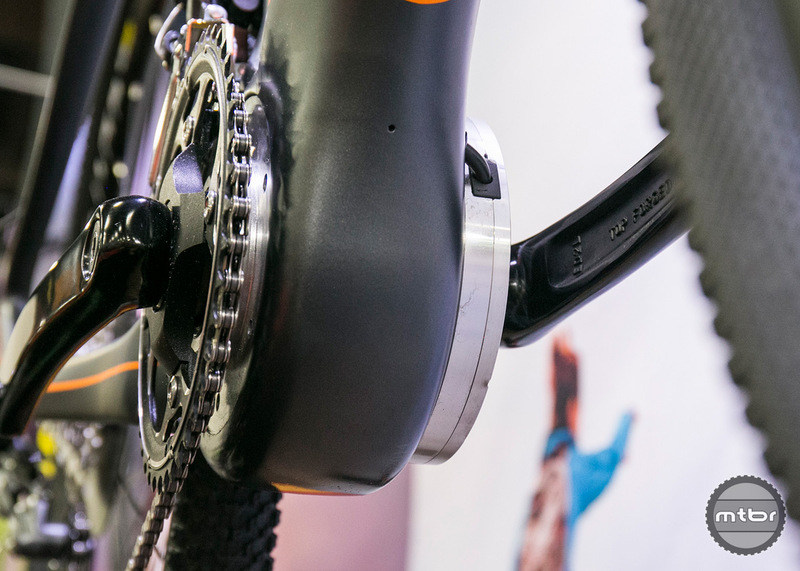 The Boar comes equipped with Bafang’s next generation geared hub motor available in 250w or 350w (depending on local laws governing power ratings). These new motors are incredibly silent compared with anything else on the market, weigh less and are so low-profile it’s hard to tell it’s electric. Geared hub motors have the advantage over direct drive motors in that they deliver high torque and are resistant to overheating when running at lower RPM’s. This is well-suited to carrying heavy loads up hills at slower speeds. Custom front and rear racks on the Boar that will transform your bike into a pick-up truck (hybrid powered of course!). The front rack has attachments for saddlebags (panniers) and a large platform conveniently sized to fit a 12-pack of beer. 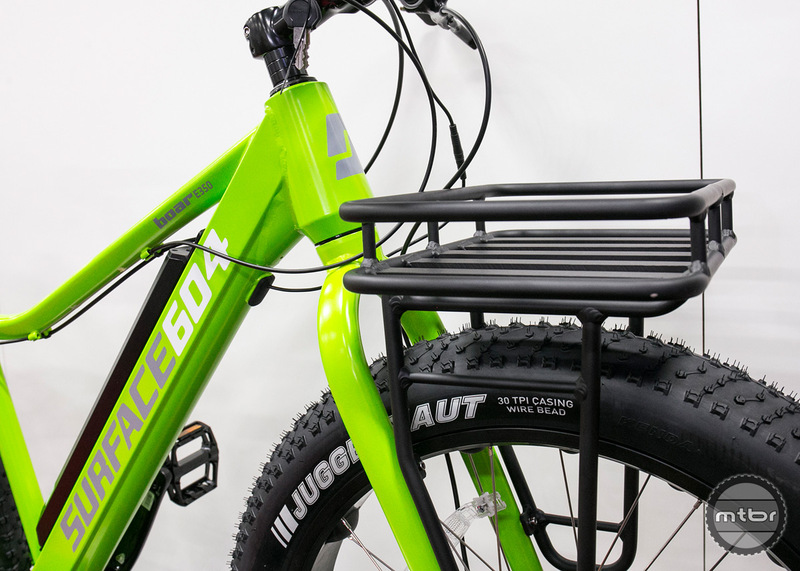 The rear rack also fits standard saddlebags (panniers) and is rated for a whopping 42kg (100lbs) of cargo. 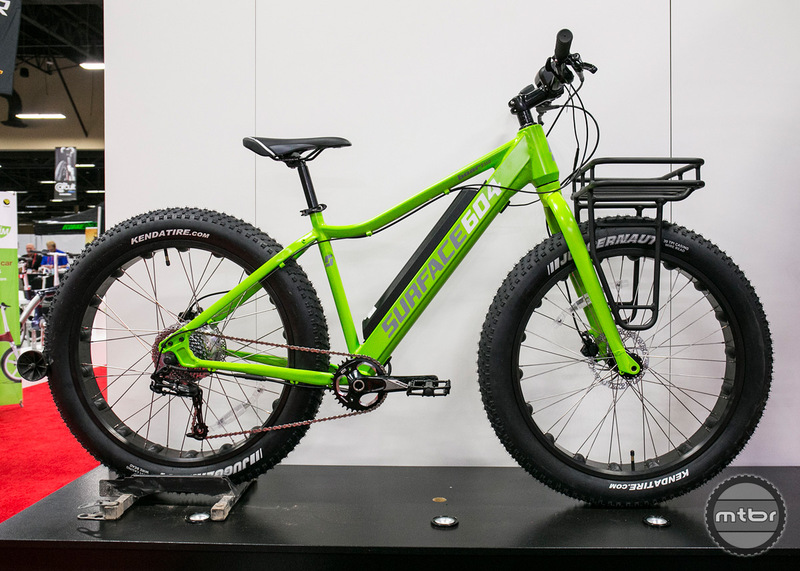 An electric fat bike that rides like a Ducati motorcycle. Mid drive motor with the battery that is sleekly built into the downtube. Custom California '60s style surf culture bike. 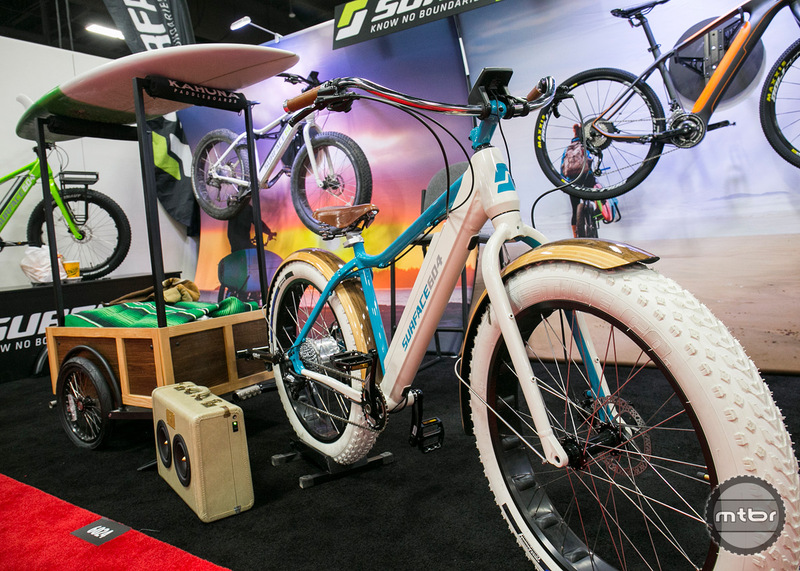 Surface 604 has a passion for electric bikes. They're on a mission to change people’s perceptions about what’s possible on an e-bike and to get more people riding more often. That’s why they founded the company in 2013 with one simple goal: to build the ultimate electric bike – one that everyday people can afford.